In this article am going to show you simple and easy steps to gain root access to your Acer A1-810. This steps are simplified and also are made easy to follow. No special skills or knowledge is required to successfully root your Acer A1-810. Before we proceed to rooting your Acer A1-810, Read about Gaining root access to Devices and also The risks involved. Note however that My Tech Lab will take no responsibility whatsoever for any damages to your device. Proceed to rooting your device at your own risks. Step 1: Before you begin anything make sure you enable the Install apps from "unknown sources". Head to your phone's settings menu. Select the "security" option and click the check box to enable. This option allows you to install apps from other places or markets apart from the Play Store. Step 2: Here we are going to use an Android application called Framaroot to accomplish the rooting task. Click the link below to download framaroot and install on you phone. 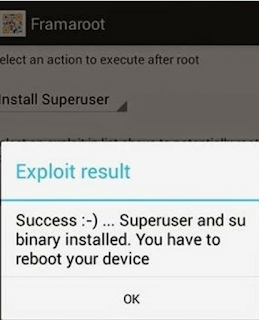 Step 3: After installing the Framaroot app, Open it and select the "install superuser". This option allows Framaroot to install the superuser app. no need to download as it comes with Framaroot. After launching the application you may see a popup which reads "Your device seems not vulnerable to exploit included in Framaroot" When you encounter this kind of message, you can remove the app from your device. However, if you find more than one exploit names such as Faramir, Gandalf, Boromir etc just select one of them. Try all for the one which actually works for your device. Framaroot crushed or freeze. If the app freezes, relaunch it and start over again. Failed after selecting an Exploit: Just select a different Exploit. Now if you were successful after the Exploit selection it means your device is rooted and you need to Reboot your device in other to start using the installed superuser. 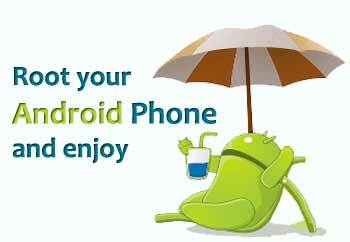 However, if you are not sure or want to be sure your device is rooted. just download a root checker app from the Play Store to verify.